Found one file extension association related to MetadataTouch and 1 file format developed specifically for use with MetadataTouch. 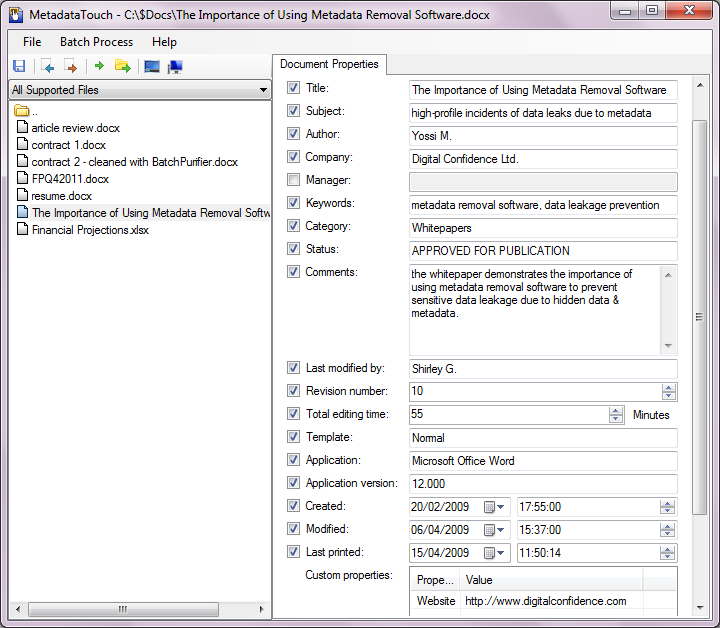 Developer / company: Digital Confidence Ltd.
MetadataTouch is a standalone metadata editor that does not requires any other program to be installed in order to view and edit metadata. It supports view and edit metadata in Microsoft Office documents (Word, Excel, and PowerPoint), OpenOffice documents, JPEG, JPEG 2000, AVI, MP3, MP4, F4V, WAV, AIFF, PNG, SVG, APE, MPC, OFR, WV, TAK, and XMP files. If you need more information please contact the developers of MetadataTouch (Digital Confidence Ltd.), or check out their product website.